I bought some wonderful shaded yarn from Yarn Paradise in Biltmore, USA. 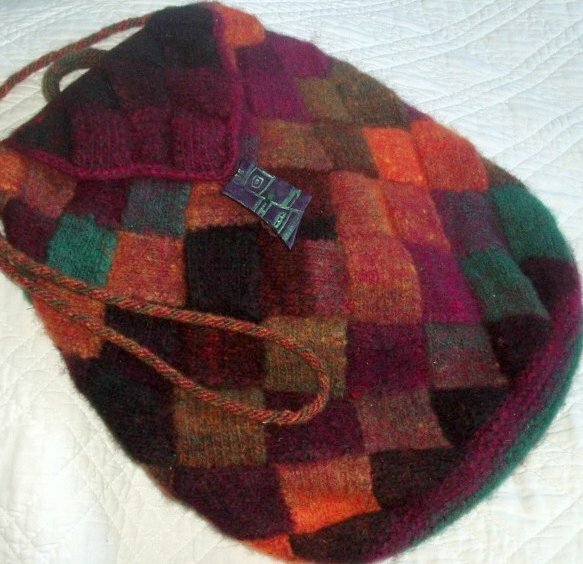 I then knitted this bag using the entrelac pattern. The bag was then placed into a washing machine to felt. Thank you Jen for your inspiration.